We have closed the books on the first week of Prodigy-5 and we have some incredible news. 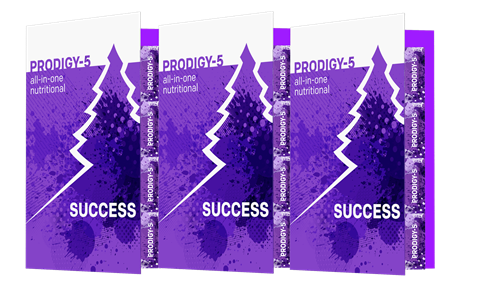 Prodigy-5 has become our top selling product for the month of december and in just one week we have paid out close to ONE MILLION DOLLARS in commissions! You heard us right! We couldn’t be happier to see the success of so many of our Members as they share this revolutionary product with the world. As we continue to push forward with Prodigy-5 we wanted to give you a few updates on different Prodigy-5 packs. + 1 Free BeautyStips Pack for a limited time! 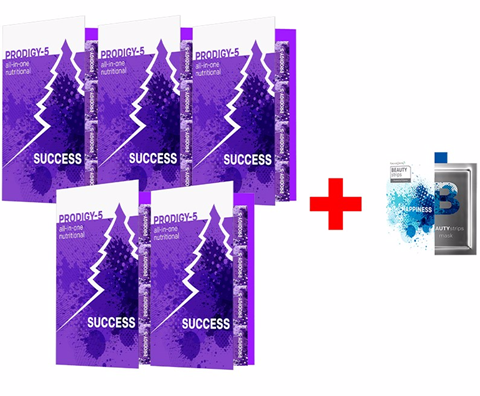 $30 USD savings plus one free pack of BeautyStrips when enrolling with this pack. This pack also gives you access to the $99.95 USD/90 QV fully qualified Prodigy-5 Pre-launch Double Habit pack. The Prodigy-5 Triple Pack is no longer available as a quick order option. It is now exclusively available through AutoShip. For full details of the pack look below!